Artwork by Jasmine Jew, depicting the black-eyed girl with a baby stroller she saw at her door late at night in Brownsville, TX. Google aerial map showing the house where Jasmine lived at the time of the encounter. At that time, there was very little development and Jasmine's was one the only that was finished on that cul de sac. Jasmine says, "The tan house on the far right is the home I lived in at the time of the encounter. That window in the middle is where I looked through to see if the girl was still standing at the door. The house with the blue trim in the middle is where I thought she might’ve hidden but when I ran to the sidewalk I couldn’t see anyone out there." The blue line is the International Border between the US and Mexico. Jasmine says, "There is a point where the river does come very close to where I lived, however, it is not an access point to the country which would have made it difficult for a child to obtain a stroller to knock on random doors. Especially a kid with black eyes!" – Author David Weatherly, from his book, "The Black Eyed Children"
LOCATION: Near the old Westwood Twin Theater at 3440 N. 1st Street, Abilene, TX 79603, where journalist Brian Bethel was in a nearby parking lot and encountered two "Black Eyed Kids." Whether you choose to think of Black Eyed Kids as demonic entities or just unaccompanied children out by themselves late at night with full-sclera Contacts trying to scare people, one thing our research and the research of those who have written extensively on the subject has concluded, this is not just an internet hoax, no matter what you keep telling yourself. Perhaps the only proof of their authenticity is also something that is unquantifiable: a deep down, primal fear upon meeting them that is so profound it is unrelatable and incomprehensible to those who have not experienced it. In other words, when the real thing comes for you, you'll know. Maybe, in the end, you don't believe any of the accounts of these encounters, or you choose to believe it's simply a misidentification leading to an exaggeration of unease. That's fine. Whatever you need to tell yourself to get to sleep. But maybe one day you'll hear that late-night knock at your own door, and you'll wonder just what kind of evil awaits you on the other side. The Night Hag or Old Hag Syndrome from Thought Co.
"Mystery Solved? Brownsville residents remember Alton Gloor cemetery"
If you like the topics we cover, then you're going to love Dan Cummins' Timesuck Podcast! Dan approaches these subjects with the same zeal for research and analysis that we do, but with his own unique perspective. He's also a touring standup comic, so he brings a bit of comedy to his inisghts, but also some adult language, so be forewarned! The Timesuck Podcast is available on iTunes, Google Play, Stitcher, various podcast apps, or wherever you get your podcasts. And then check out his website, http://timesuckpodcast.com/ for all of his episodes, plus his touring schedule. Blue Apron – Let Blue Apron help you with your Thanksgiving dinner by providing recipes for superb side dishes your guests will rave about! Go to blueapron.com/astonishing to check out this week's menu and get $30 OFF your first order with FREE SHIPPING! eHarmony – Don't waste your time looking for love in all the wrong places! eHarmony has already helped over a million people find their special someone by using years of science, data and psychological research to find you the perfect match that leads to a lasting, meaningful relationship. Get a FREE MONTH with eHarmony when you sign up for a 3-month subscription, just by using the Promo Code LEGENDS at checkout! MVMT WATCHES – Classic design and stylish minimalism meet solid construction in quality watches that start at just $95! They carry cool sunglasses too! Now is the time to step up your watch game, or someone else's because they also make great gifts. Go to MVMT.com/LEGENDS to get 15% off today, with FREE SHIPPING and FREE RETURNS. Join the MOVEMENT! Episode 89: Black Eyed Kids Part 3. Produced by Scott Philbrook & Forrest Burgess; Audio Editing by Sarah Vorhees; Ryan McCullough Sound Design; Research Assistance by Tess Pfeifle and the astonishing League of Astonishing Researchers, a.k.a. The Astonishing Research Corps, or "A.R.C." for short. Copyright 2017 Astonishing Legends Productions, LLC. All Rights Reserved. 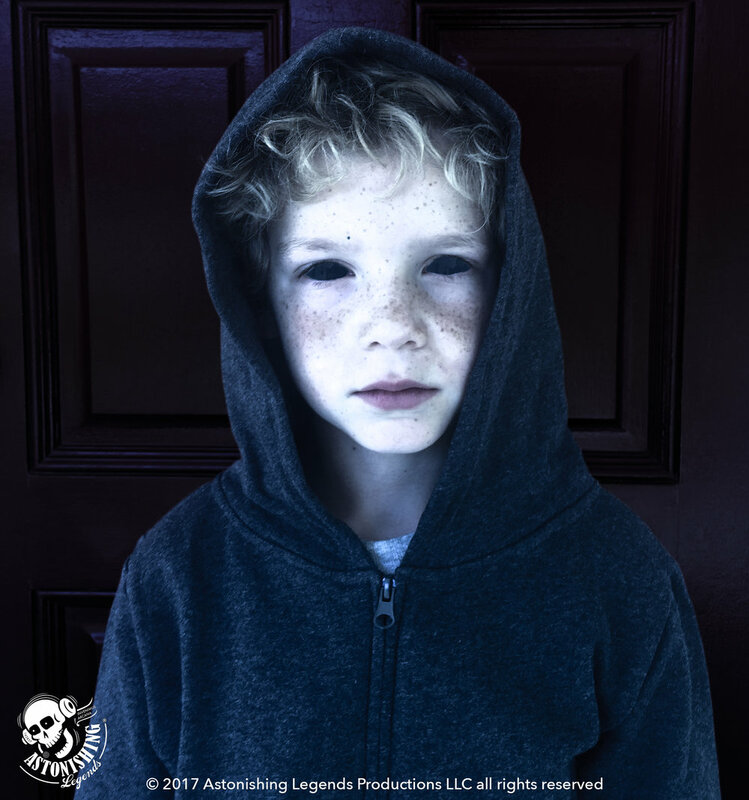 The accounts of encounters with Black Eyed Kids vary with their observable details, except for two main factors: their dead, black eyes which you see and can never forget and the feeling of utter horror and doom which you will continue to feel every time you think about them. If the eyes truly are "windows to the soul" then these entities have no soul, or that soul resides in hell. Remember that the next time you hear a knock and think it's just a harmless kid or two, and all they want is some Halloween candy, or to use your phone, or a ride, or to come in and warm up, because what they will take is something you literally can't live without. Blue Apron – Join in the celebration of Blue Apron's 5th anniversary by trying their top 20 recipes from the last 5 years, as picked by their community of home chefs! Go to blueapron.com/astonishing to check out this week's menu and get $30 OFF your first meal with FREE SHIPPING! Episode 88: Black Eyed Kids Part 2. 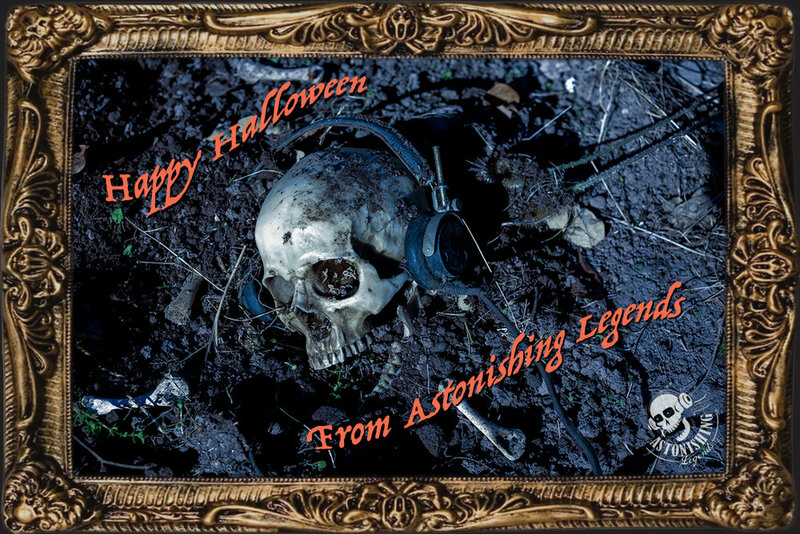 Produced by Scott Philbrook & Forrest Burgess; Audio Editing by Sarah Vorhees; Ryan McCullough Sound Design; Research Assistance by Tess Pfeifle and the astonishing League of Astonishing Researchers, a.k.a. The Astonishing Research Corps, or "A.R.C." for short. Copyright 2017 Astonishing Legends Productions, LLC. All Rights Reserved. LOCATION: Don't worry. No matter where you are, the Black Eyed Kids will find you. First, there's a knock. A very persistent knock, at your door, at your car window. Or maybe they stop you on a walk, on your way somewhere, when you're alone. They're just kids, right? And who doesn't want to help out kids in need? Except that these aren't like any kids you've met before. They're not like any humans you've ever met before, because what humans have you seen that have completely all-black eyes and fill you with an inexplicable dread? These kids don't want money (that's what humans want) and they really don't need to use your phone, even though that's what they mostly ask for. No. What they want is to get in. Into your house, into your car, into your space, to be near you. But, they need your permission first. Why? What are the rules? And what do they want when they get in? What they want is the only thing you possess of any real value – your soul. If you like the topics we cover, then you're going to love Dan Cummins' Timesuck Podcast! Dan approaches these subjects with the same zeal for research and analysis that we do, but with his own unique perspective. He's also a touring standup comic, so he brings a bit of comedy to his insights, but also adult language, so be forewarned! The Timesuck Podcast is available on iTunes, Google Play, Stitcher, various podcast apps, or wherever you get your podcasts. And then check out his website, http://timesuckpodcast.com/ for all of his episodes, plus his touring schedule. Episode 87: Black Eyed Kids Part 1. Produced by Scott Philbrook & Forrest Burgess; Audio Editing by Sarah Vorhees; Ryan McCullough Sound Design; Research Assistance by Tess Pfeifle and the astonishing League of Astonishing Researchers, a.k.a. The Astonishing Research Corps, or "A.R.C." for short. Copyright 2017 Astonishing Legends Productions, LLC. All Rights Reserved.